Get A Bull are proud recipients of a Grey Muzzle Organization grant! We are excited to have this additional funding to save and enhance the lives of senior dogs in need in our community. 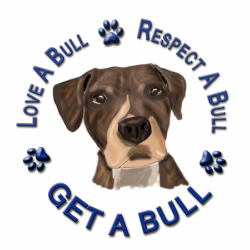 Get A Bull is proud to be a Network Partner of Best Friends Animal Society. We partner with them on events and promotions for adoption and fundraising throughout the year. We can't wait for Strut Your Mutt in NYC fall 2018. Get A Bull is grateful to Max & Neo for their many donations of collars and leashes and other supplies to our rescue through their One for One donation program. Canna-Pet Canna-pet provides us with their products at 50% through their charity program, We find their CBD products to be invaluable to many of our dogs, especially the seniors!